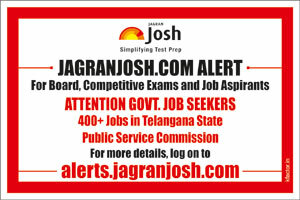 Telangana State Public Service Commission (TSPSC) invited applications for 439 Group- II Services. The eligible candidates can apply to the post through the prescribed format on or before 09 February 2016. Educational Qualification: A Bachelor’s Degree from any recognized University in India established or incorporated by or under Central Act, Provincial Act, a State Act or an Institution recognized by the U.G.C. or an equivalent qualification. Eligible candidates can apply to the post through the prescribed format and send the applications along with other necessary documents so as to reach on or before 09 February 2016.